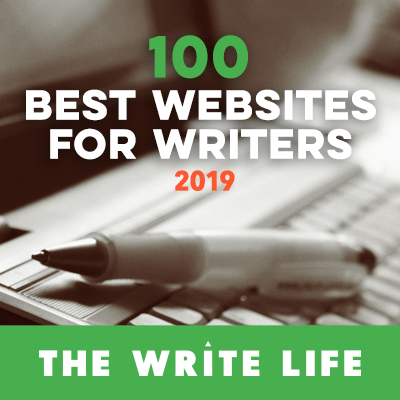 By Alex Strike/ I bet, this situation will sound familiar for everyone who writes, no matter what they write – blog posts, essays, short stories, articles, or books. One day sitting at the computer, or in front of a clean white sheet of paper, you try to start writing, but nothing comes out! Words do not come to your mind, sentences look stupid and ridiculous, paragraphs do not appear. You are stuck! You might try to distract yourself somehow in order to find inspiration. Check your e-mail, go to Facebook, look for funny pictures on the Web, etc., and as a result, one to two hours pass, texts are not finished and you are more frustrated than ever. Not a very pleasant situation at all. Slow writing is not always acceptable, especially if it is your only source of income. Less writing = less money. Such a situation can kill your productivity if all you do is worry about dead lines. Fortunately there are some habits we can all develop if to save time and write faster. The writing process will become easier and more pleasant, if you try to follow these three simple tricks to help you improve your writing. I've tried all of them already, and I must admit, that they really do work for me. 1. Process versus research and editing. Have an article to write? Sit down at the computer and do nothing but write. Always trying to do research after one paragraph is written in order to find some info for your next paragraph? Maybe now is the time to check a thesaurus to find better synonyms, or get the dictionary out to check spelling? Don't let all the temptations catch in! Write to the finish, and all the things like editing can be done afterwards. If you feel that some words or word expressions may be changed, just highlight them to go back to later. Often, researching or editing during the writing itself, will distract you, and you will lose not only your train of thought, but precious time. My main problem was to START writing. I sat in front of my computer and could not find any words or ideas to start my article. When I had a task to write an interesting post, for a tech blog for example, but the exact topic was not given, I got also stuck with the idea itself. As a result, time was wasted again and writing not even started. Try this instead, keep your eyes open for new ideas and do not forget to write them down. Did you read a blog article and see an interesting idea that could be used by you in the future? Do you see an interesting and inspiring quote? Write it down! Fortunately, the modern era of cool gadgets and the Internet gives you many different tools to do this such as Evernote, and sticky notes. If all else fails, keep a pen and paper hand at all times. Soon, you will have a big collection of thoughts that can inspire you and give you ideas for future works. The last but not the least important tip in my list. Don't hurry to write an introduction and all long paragraphs of your future texts! Create an outline to point out all the essential details. An outline will give you an exact plan and will make it easier and faster for you to write a text without forgetting important details. I must admit, that this tip did not work for me first. I felt that I wasted much time on writing an outline, and it would have been better spent on writing one or two paragraphs of my text. However, the more outlines I tried to write, the better I understood their importance and usefulness; and now my scheme of writing looks like this: an idea – an outline – a process of writing itself. Keep the outline beside you, to keep you on track during the process of writing itself. It will keep you from getting distracted, and make your path from start to finish clear. It may be at first, but developing such habits will save you time, give you fresh ideas, and make the process of writing faster and more productive. Write it easy, write with pleasure – and your reader will feel that you really love what you do! We all know readers can tell when a text has been written in terrible agony, so, don't waste anymore time, and start forming good writing habits today. 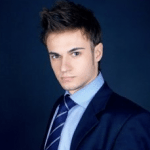 Alex Strike is a copywriter and a passionate blogger who works on best essay writing services right now. He likes works of Stephen King and Ray Bradbury, and he considers them real gurus of writing. You can find more works of Alex Strike on Google+.